Patch 9.8 is on the way and the official patch notes have been posted! How do you do, fellow kids? Welcome to the MSI 2019 patch. 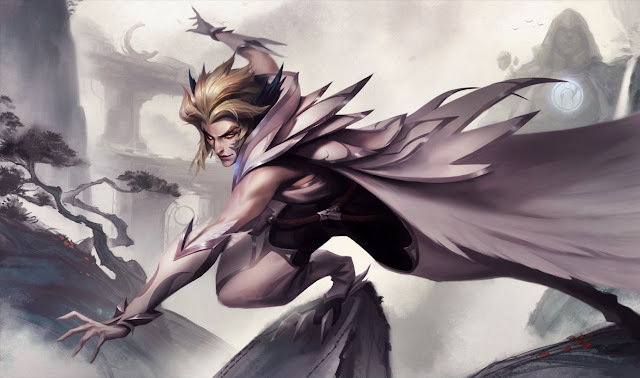 Champions we've been seeing a lot of like Gnar, Kayle, Nautilus, and Trundle are getting more adjustments. But some not-too-commonly-seen champs like Amumu and Renekton have joined them. On the items front, we're making Grievous Wounds more consistent across items that have it and adjusting the cost of some marksmen items in light of similar reductions to others in the category over the past couple of patches. To all you Gangplank and Miss Fortune cosplayers, say goodbye to Butcher's Bridge as it sets sail until next time in ARAM. But to all your Braum and Ashe fan girls and boys, let's welcome back the Howling Abyss! The team have assessed the feedback and data from the 9.7 ARAM mini-event and have made some decisions to changes that will be applied permanently (or not) starting 9.8. Now skedaddle out of here and read on for more details. Passive damage increased. Q cooldown decreased. Amumu now follows enemies hit by Q if they move while he's mid-flight. The sad boi has some room for buffs so we're helping him. While these buffs won't feel too different between skill levels, we expect them to be felt a bit more in higher ranked games. Camille's attack speed nerf at the end of last year slowed her camp clear in the jungle, but also left her weaker in lane. We're buffing it back up since we don't expect it to make her swing too strong in either roles. E cost decreased at later ranks. With the recent increases to her Q and W mana costs, we find that Cassio is having trouble staying afloat in lane and in mid-game skirmishes. Since E-max on Cassio makes for a great and aggressive playstyle anyways, we're killing two birds with one stone, helping her stay in those situations longer and keeping her kill potential high. W damage and slow/stun duration increased. E cost flattened at all ranks. 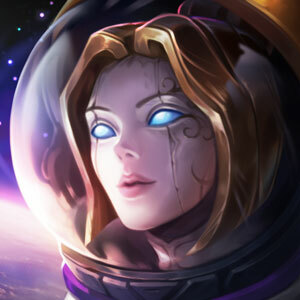 We're rewarding Fiora when she successfully outplays her opponents and making it easier for her to wave clear and take towers without running out of mana in the middle of taking one down. More throwing people against walls when Gnar is big and angry. E trap duration increased, traps recharge faster at later ranks. R damage multiplier increased and level-up tooltip corrected. We're buffing Jhin's traps and ultimate, two skills that generally felt lackluster compared to the rest of his kit. 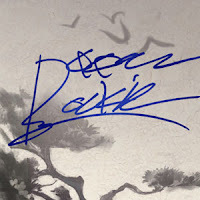 Base attack damage, armor, attack speed ratio decreased. Kayle ascends based on level and R rank. 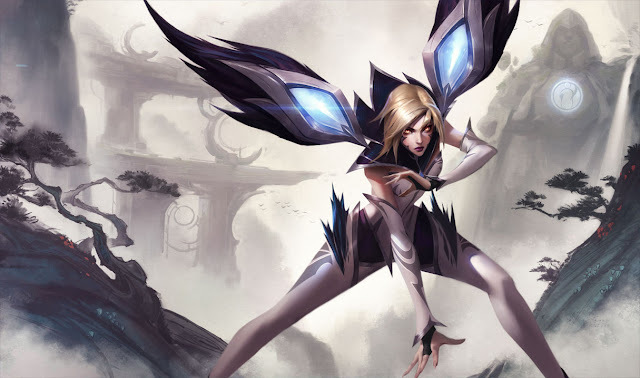 For a champion who’s supposed to have a risky and weak early game in relation to how powerful she becomes late game, Kayle is succeeding early too often. Changes to her base stats will keep her weaker early and when she ascends later compared to before. Also, shout out to Elixir of Skill, and you luckerdogs who saw it drop enough to use the strat. E Shadow Assassin cooldown decreased. Shadow Assassin has almost always been overshadowed by Rhaast. We're hoping that by doubling down on Shadow Assassin's signature mobility, Kayn players will have more of an option when deciding between the two. Master Yi is now ghosted during R.
We're modernizing Master Yi's ultimate to be in line with similar powerful, long duration movement speed buff-type spells released in the present. Passive root duration increased. Q damage increased. The Nautilus buff to end all Nautilus buffs. We promise. Living Forge's Forgefire Cape, Frozen Fist, and Infernal Mask base stats increased. We want Ornn to be stronger, but in a way that's unique to him. As such, we're bulking up the items that come out of his passive to strengthen him late-game. Base health, attack speed growth, and armor growth rounded up. Q healing vs. champions increased. Get out of here decimals, we only like whole numbers for this crocodile. Clean numbers for our scaly god that'll help him in the midst of a duel or trade. 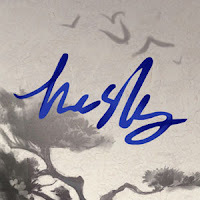 Small buffs to her scaling should help Sejuani's clear speed, gank potential, and team fight presence without making her too overwhelming in all three fields. Q bonus damage increased late. R cooldown decreased. Q damage decreased. W cooldown increased. 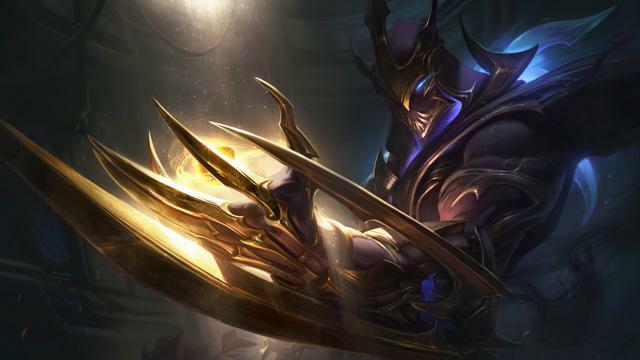 We're reducing Zed's burst potential a bit and giving his opponents more chances to catch him. We're rolling back part of the cost reduction on BotRK from 8.11 by increasing the early cost of Cutlass. We first decreased the price in a cost-cutting sale across the board, following a noticeable increase in price of marksmen items. But the "discount price" since then has made the item too valuable for marksmen. To compensate for Cutlass' price increase, we're decreasing the additional cost to keep Gunblade's total cost unchanged. Making Bramble Vest's Grievous Wounds duration consistent with the effect on other items. Minion and monster aura damage increased. We changed the tooltip in 9.7, but didn't actually apply the change… Fixed it now, woops. Energized effects increased and slow decays over a longer period of time. 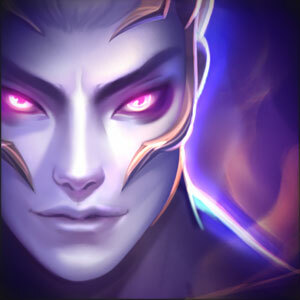 Right now, the only champion who's really buying Stormrazor is Kai'Sa, which is mainly due to its stat profile than its Energized passive. We want players considering it for its unique effects too. Making Thornmail's Grievous Wounds duration consistent with the effect on other items. No longer grants adaptive force for 10 seconds. Damage to champions increased. Simplifying Coup De Grace to be entirely focused around dealing more damage to low health targets. Butcher's Bridge is sinking below the depths! 9.8 marks the end of the ARAM - Back to Bilgewater event and we've made some decisions on which experimental changes to keep based on your feedback! Here are the changes; stay tuned for a more in-depth post about these decisions on Nexus. WINTER IS HEREHowling Abyss has returned. Butcher's Bridge is gone until next time! REMOVEDPIRATE'S BOUNTYMariner’s Vengeance and Ghostwalkers are going down with the ship. Bridge. Whatever. REMOVEDBANSAfter much discussion and weighing your feedback, bans will not be a permanent feature in ARAM. At 15:00, they start gaining movement speed every minute until 20:00 ⇒ 25:00when they’ll have 425 movement speed. From game start to 15:00, champions deal 10% ⇒ 0% more damage to structures. At 15:00, that value increases linearly until 25:00 when they’ll deal 30% ⇒ 15%bonus damage to structures. Here's a brief look at many of the new things included in patch 9.8. This coverage includes preview screen shots and video taken during the 9.8 PBE cycle and may vary slightly from what is pushed to live. 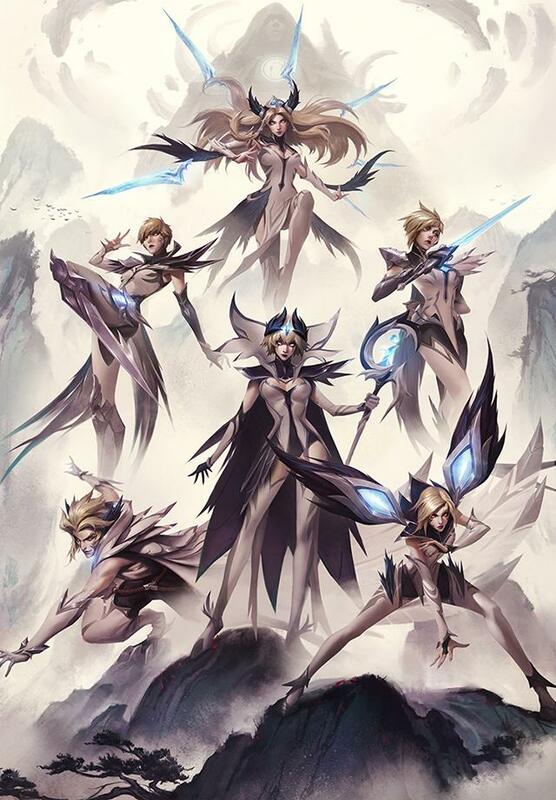 Eight new skins will be available sometime this cycle, including Galaxy Slayer Zed, K/DA Evelynn Prestige Edition, and a new lineup of Invictus Gaming skins celebrating their Worlds win in 2018! "Zed was a promising Templar before he became host to the hivemind of ora and imbued with its alien essence. Able to morph his body into living weapons, he now sees himself as the perfect life form, deserving of all ora and destined to cleanse the galaxy of the weak." "Honoring Ning's winning performance as Camille during the 2018 World Championship." "Honoring TheShy's winning performance as Fiora during the 2018 World Championship." 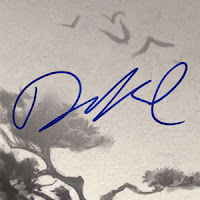 "Honoring Duke's winning performance as Irelia during the 2018 World Championship." 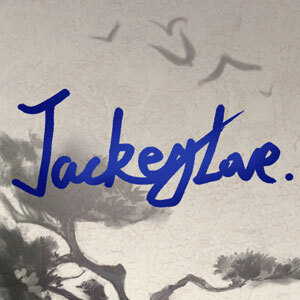 "Honoring JackeyLove's winning performance as Kai'Sa during the 2018 World Championship." 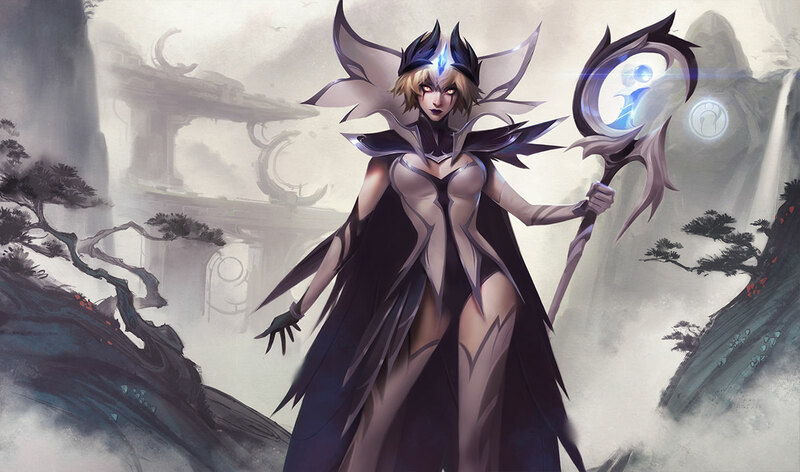 "Honoring Rookie's winning performance as LeBlanc during the 2018 World Championship." 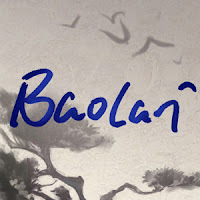 "Honoring Baolan's winning performance as Rakan during the 2018 World Championship." 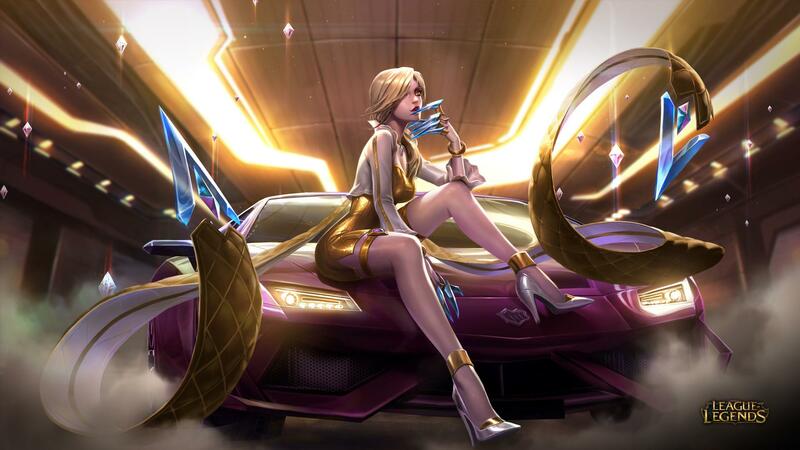 "With that wild in her veins, K/DA Evelynn stomps into the spotlight, shimmering in a custom golden outfit from the Pop Music Awards. Only 'winning, winning' now." 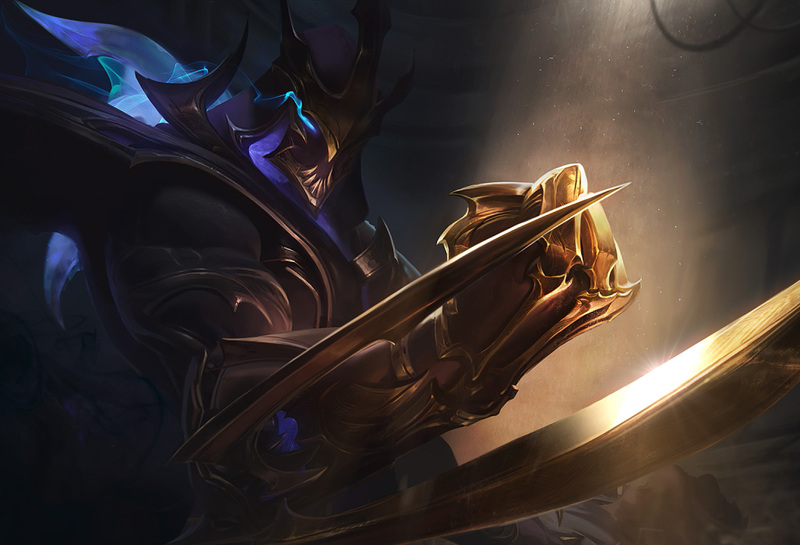 Conqueror Varus: Commemorating the 2018 Mid-Season Invitational in Europe. Abyssal Nautilus: "Never once have I sailed these waves looking for missing divers. Something unnatural lives in the depths, and I fear what it does to these lost souls." Bear Cavalry Sejuani: Sejuani has taken to battle on an armored, one-eyed warbear the size of a shed, while swinging a land mine on a chain, wearing a delightfully vintage red-star hat. Good luck out there! 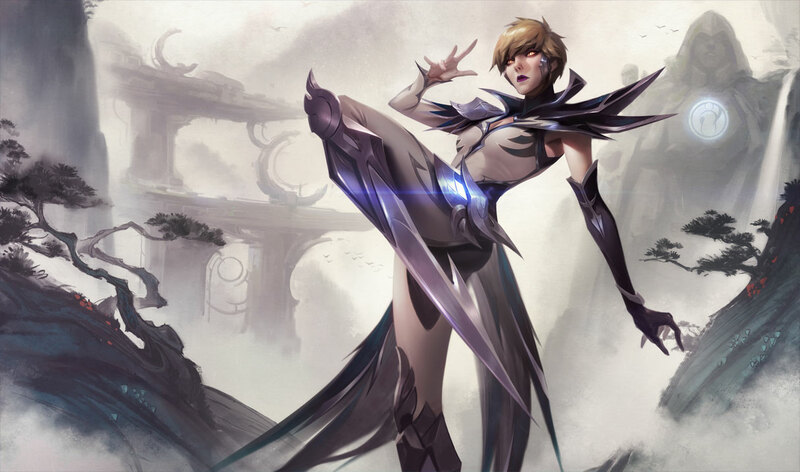 Invictus Gaming Fiora: Honoring TheShy's winning performance as Fiora during the 2018 World Championship. 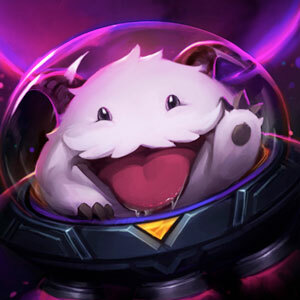 Conqueror Alistar: Commemorating the 2018 Mid-Season Invitational in Europe. 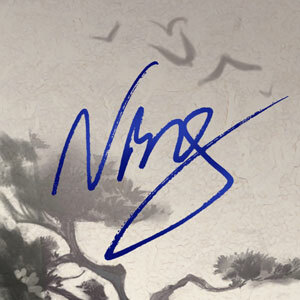 Uncle Ryze: Uncle Ryze wants YOU... to get on the rift! Invictus Gaming Kai'Sa: Honoring JackeyLove's winning performance as Kai'Sa during the 2018 World Championship. 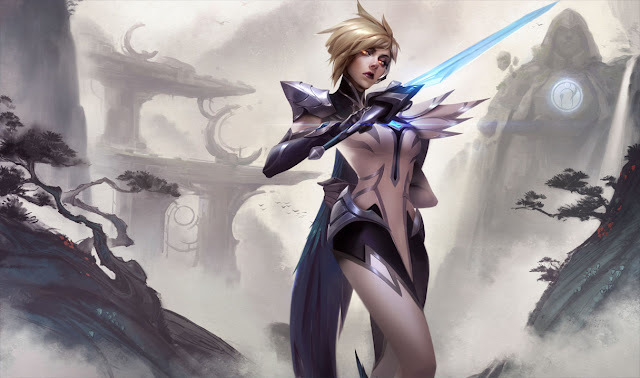 Invictus Gaming Camille: Honoring Ning's winning performance as Camille during the 2018 World Championship. 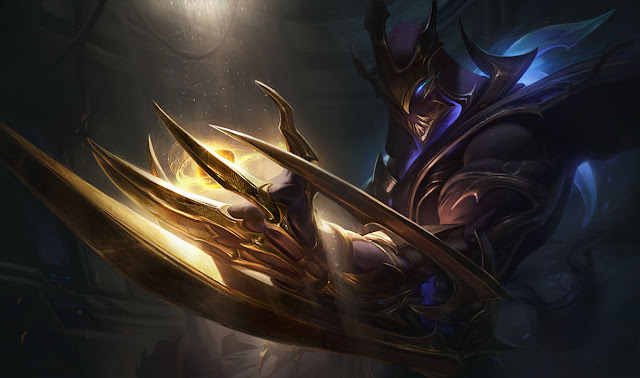 Galaxy Slayer Zed: Zed was a promising Templar before he became host to the hivemind of ora and imbued with its alien essence. Able to morph his body into living weapons, he now sees himself as the perfect life form, deserving of all ora and destined to cleanse the galaxy of the weak. Deep Sea Nami: "I saw her! Where light ceases and one is alone with the cold darkness and the sea, she appeared before me-- a wordless, ancient thing, pulsing with an unearthly luster as vicious shapes twisted in the gloom beyond." K/DA Evelynn Prestige Edition: With that wild in her veins, K/DA Evelynn stomps into the spotlight, shimmering in a custom golden outfit from the Pop Music Awards. Only 'winning, winning' now. 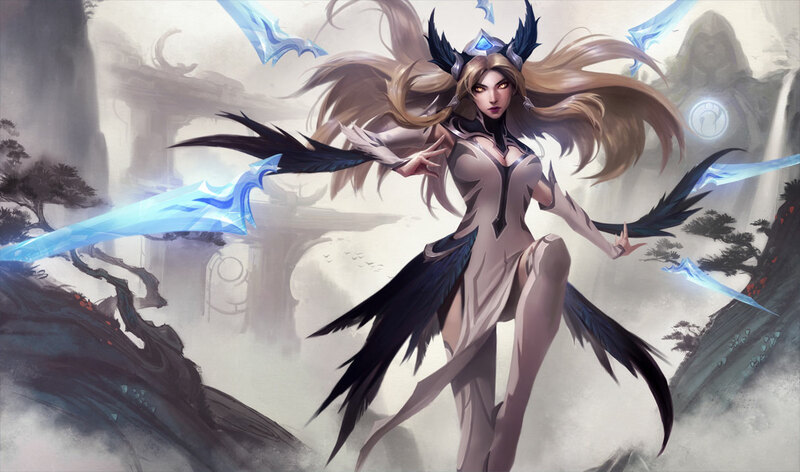 Festival Queen Anivia: For one week a year, Anivia takes a break from being a prophetic ice spirit of the Freljord, and takes off for warmer climes-- somewhere people will appreciate her samba. Deep One Kassadin: "Kassadin vanished at sea over fifty years ago. Whatever you saw down there-- if you did see anything-- it can't have been the same man I watched fall into the drink. And if it was... gods help us." 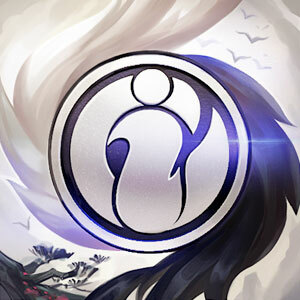 Invictus Gaming Irelia: Honoring Duke's winning performance as Irelia during the 2018 World Championship. Deep Terror Thresh: "If there really was a kingdom beneath the sea, it must have been destroyed long ago. How else do you explain the revenants that prey upon these shores? How else does that thing-- Thresh-- exist, trapping our souls in his accursed diving bell?" Invictus Gaming Rakan: Honoring Baolan's winning performance as Rakan during the 2018 World Championship. Coral Reef Malphite: "When I was young, I used to watch our ships sail back to port-- but of late can't bring myself to look. For every vessel that docks, another runs aground of coral that was not there before. It's as though even the seabed has turned against us, slowly moving toward some unfathomable end." 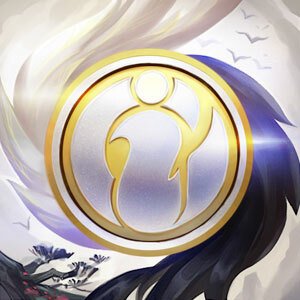 Invictus Gaming LeBlanc: Honoring Rookie's winning performance as LeBlanc during the 2018 World Championship. 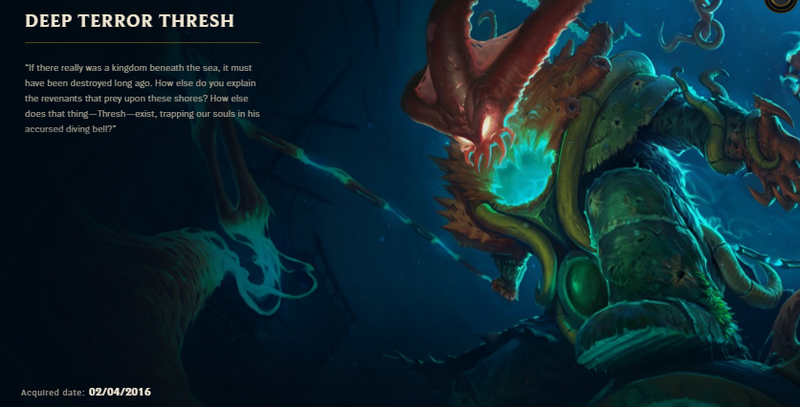 Deep Sea Kog'Maw: "Perhaps my old mind was deceived by the fury of the storm. Yet as we sank, I glimpsed a field of lights beneath the waves, a thousand eyes of wicked alabaster... they were dark things tearing into the flesh of our crew as if all they ever knew was hunger."